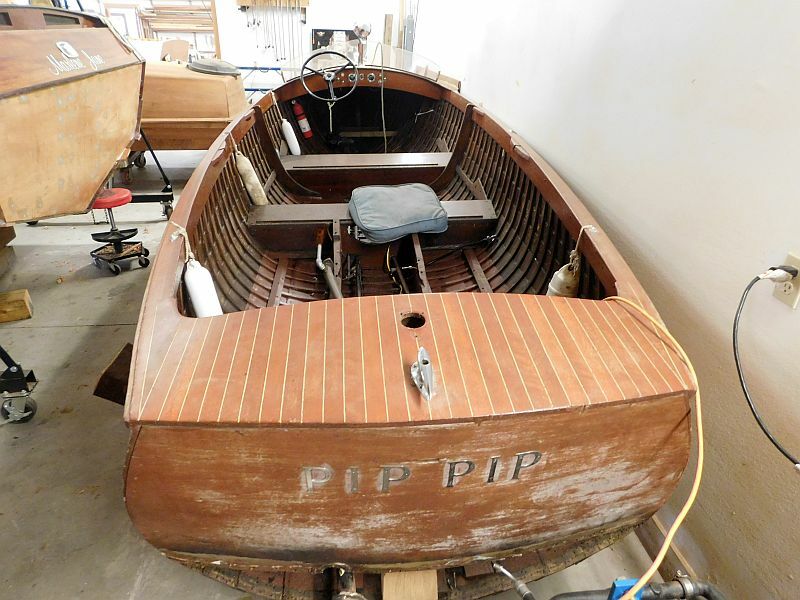 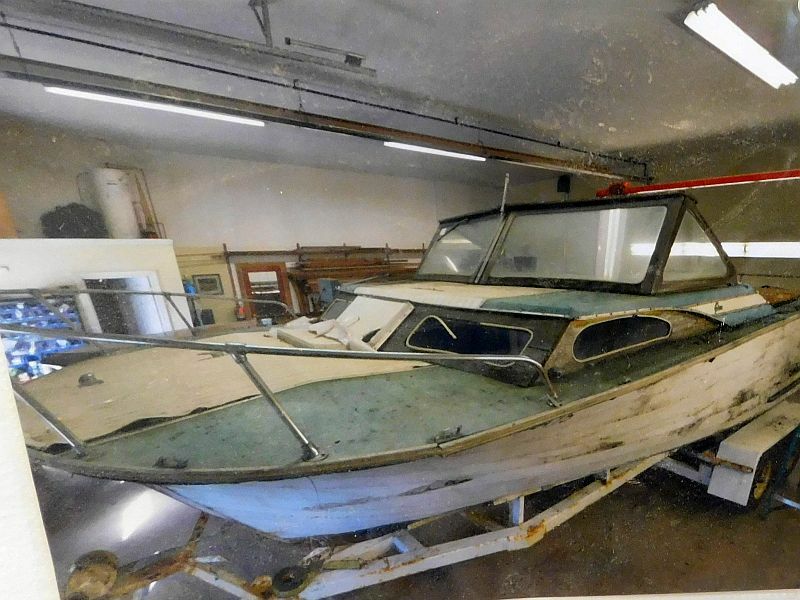 Butson Boats in Bracebridge Ontario has restoration projects galore on tap. 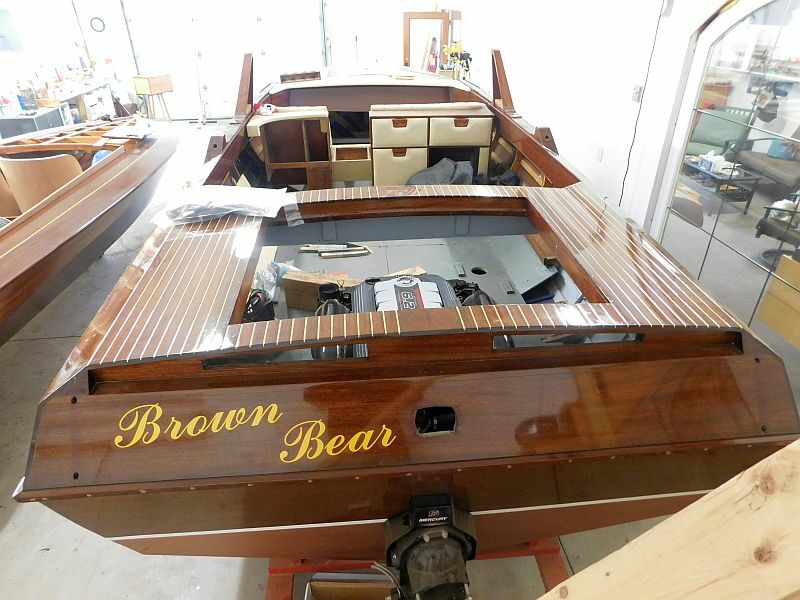 Butson Boats goes gangbusters with multiple projects! 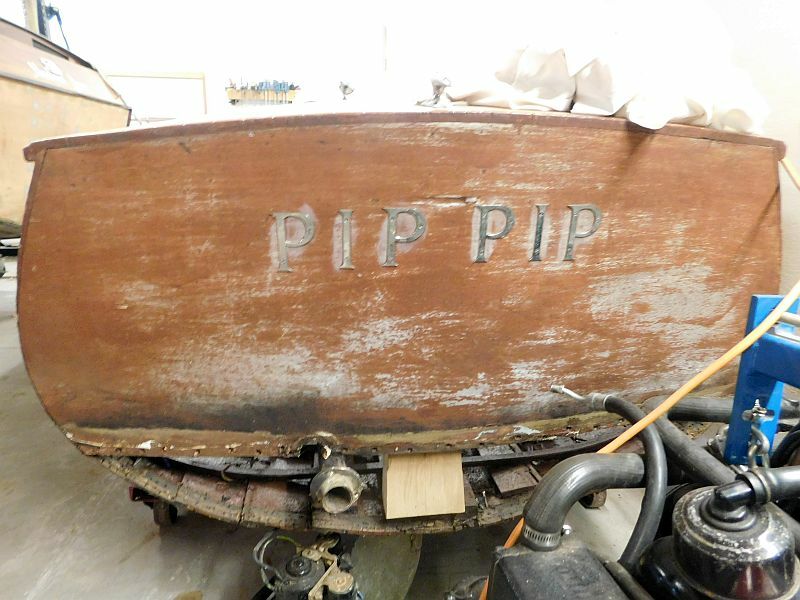 Tim Butson and his staff have their hands full this winter, with restoration projects flying out of their steam-box (so to speak)! 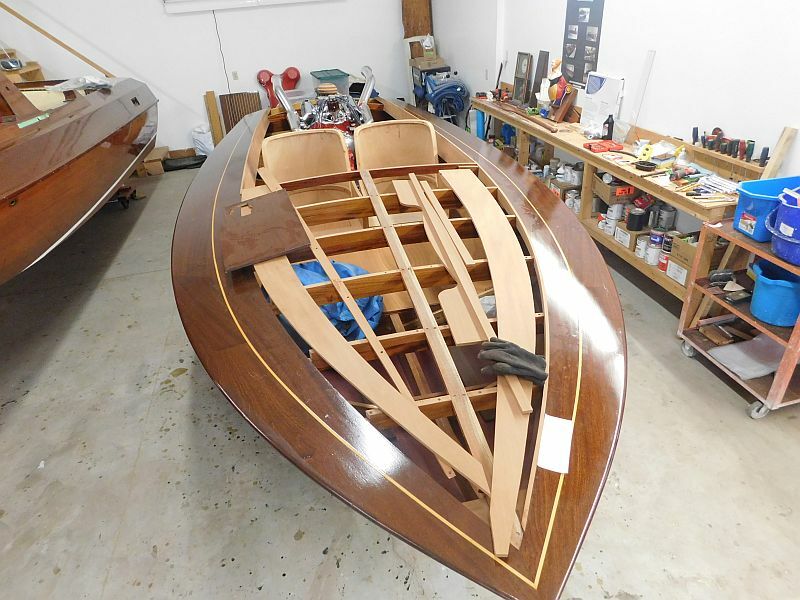 The shop currently hosts two Greavette Executives, a custom ski/speed boat, a Shepherd prototype, a Grew Overnighter, a two masted ketch and a Duke Playmate. 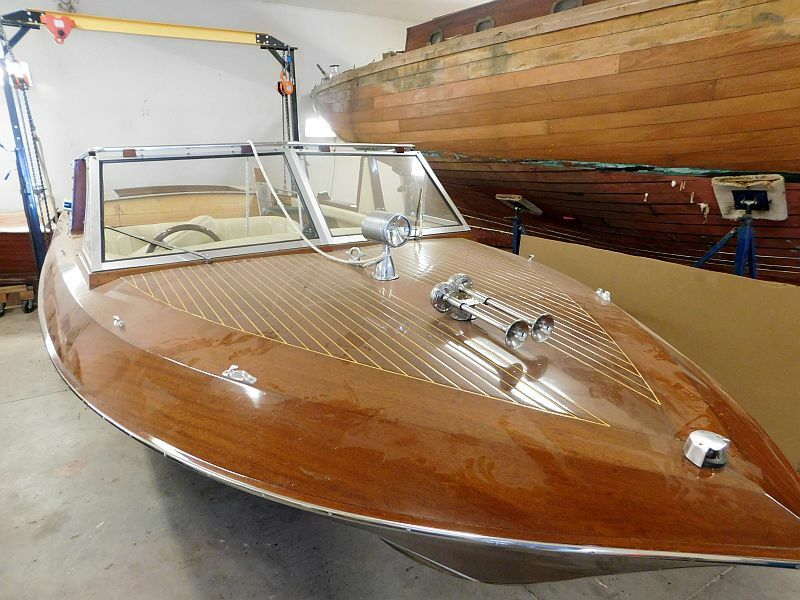 Tim estimates that this ski/speed boat will reach 70 mph. 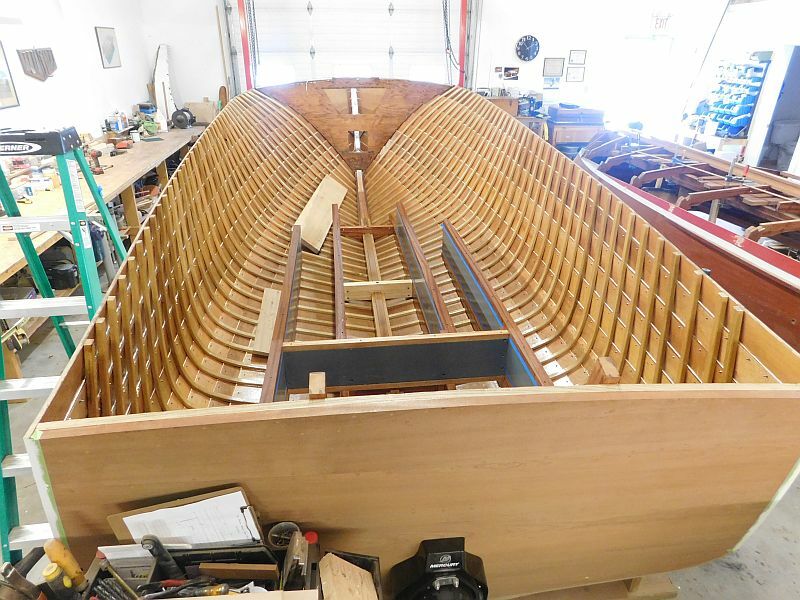 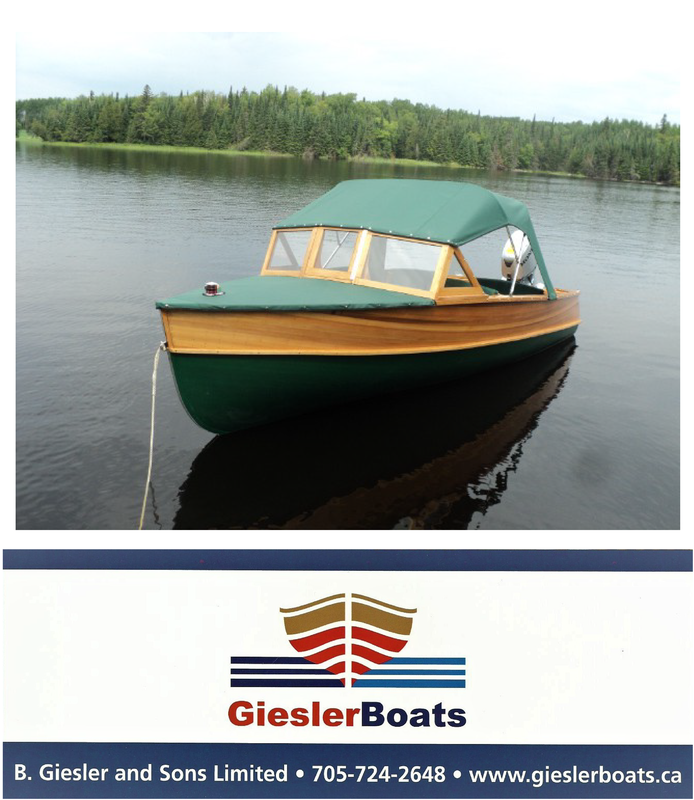 The Grew has been strengthened with thicker lap planks, a reinforced transom and beefier ribs. 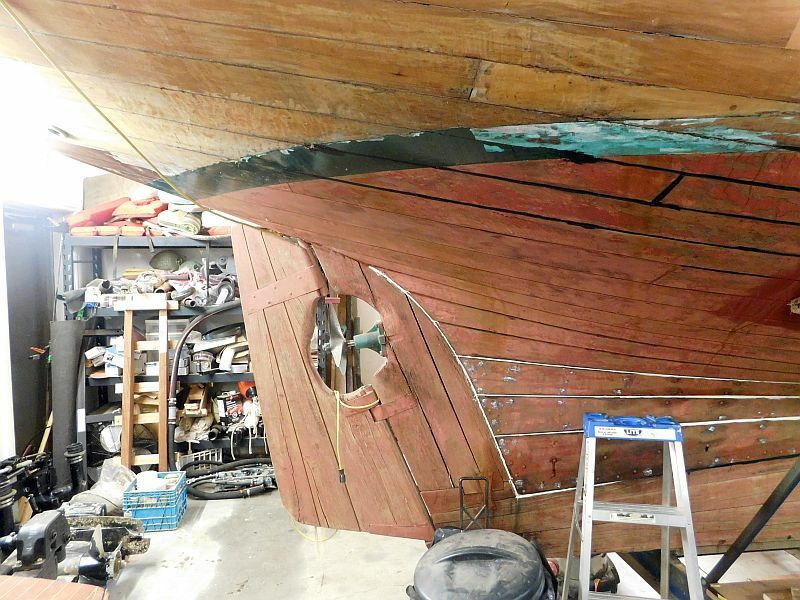 When installed, the superstructure will provide additional support. 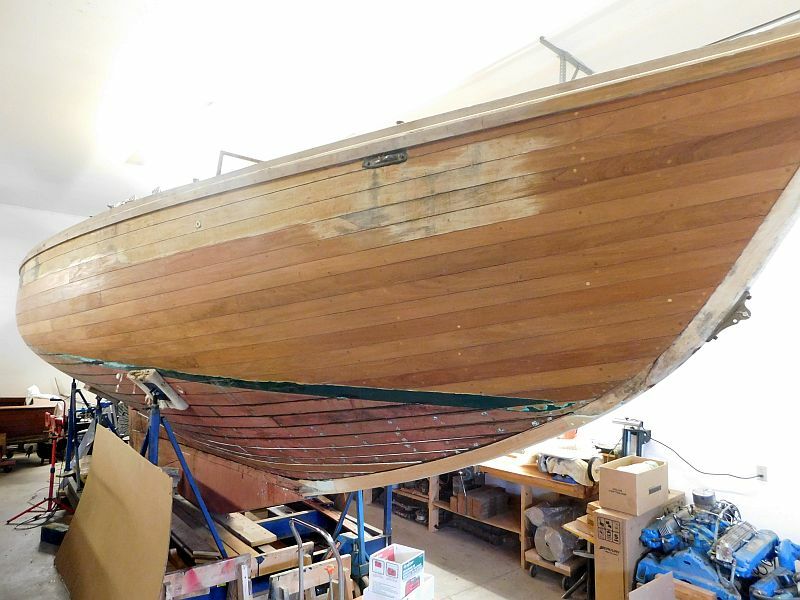 This 34 ft. two masted East Coast ketch, also from the 1970s, is in for some major bottom work and other repairs..
“Pip Pip” a charming 1949 Duke Playmate (an “everyman” boat built by the hundreds) awaits major work before returning to Magnetewan, Ontario. 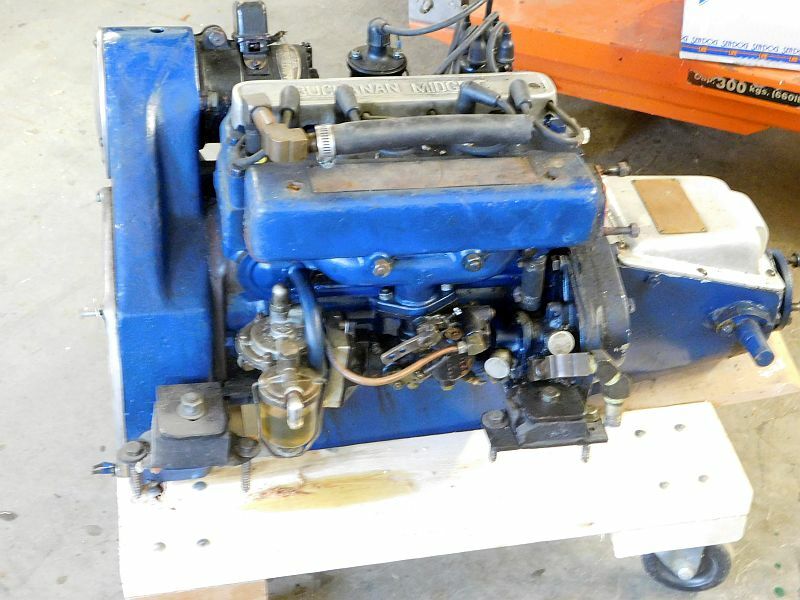 With their Buchan midget engines (see photo below) these Playmates sip gas so gently that a day long excursion on one tank is taken for granted. 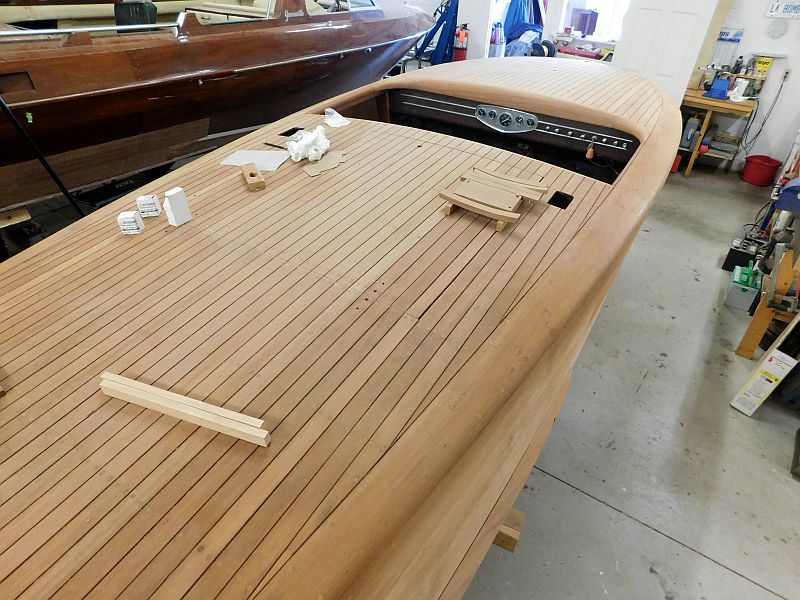 ← A massive Chris-Craft and Greavette launch “get the works” at Brackley Boats.